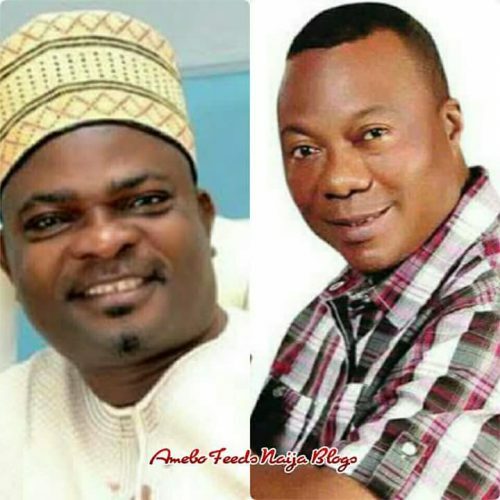 Former House of Representatives member, in Ile Ife Federal constituency, Honorable Rotimi Makinde has shower encomiums on the Juju Maestro, Dayo Kujore as he is set to launch his new album in April this year. “I cherish the cultural touch he sustains in his music and he maintains it even outside the country,’’ Makinde said. According to the Nolywood Actor turned politician, Dayo Kujore should be named “Pride of Nigerian culture’’ as the leading projector of the nation’s cultural heritage to the world. Meanwhile, other upcoming artistes, who spoke to Amebo Feeds Naija Blogs in Lagos on Thursday, described him as a cultural legend. Speaking to our correspondent, Makinde restate that Dayo Kujore has one of the best voice as a musician in Nigeria, he can use mostly all instrument, very talented in composition, he has paid his due and still waxing stronger.. He is launching another album come April 6 2018. “The songs of the Juju music icon is an ever active lyric that will remain relevant even decades after, unlike our contemporary songs by our young artistes." It is no more a news that Wonderful Dayo Kujore has raised many upcoming artist moral in learning how to play local drums and other traditional musical instruments during his stage performances.